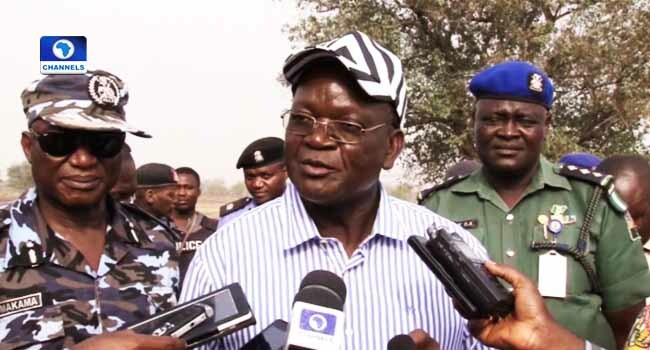 The Benue State Governor Samuel Ortom has criticised the Minister of Defence, Mansur Dan Ali for comments allegedly made by him where he blamed the herdsmen killings in Benue on the implementation of the anti- grazing law 2017. Ortom described it as rather unfortunate, adding that if an Honourable Minister could make such comments then there may be no end in sight and justice for victims of herdsmen attacks. Dan-Ali was said to have made the comments at the end of a meeting of the National Security Council presided over by President Muhamamdu Buhari at the Presidential Villa, Abuja. He said the recent killings formed part of discussions at the meeting and that the proposed National Commission on Proliferation of Arms was one of the steps being taken by the Federal Government to tackle the violence. 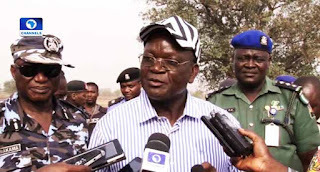 In response, Governor Ortom said: “Well, it is unfortunate but I want to console myself that this thing is not coming from the Honourable Minister, but if it did, I will say that it is very unfortunate. The solution to the security challenges we have in this country is not in sight having those kind of people in power who are not able to give quality advice and to also proffer solutions to the security problems we have here. “Take for instance, if you say it is because of the law that killings by herdsmen are going on in Benue, is there any law prohibiting open grazing in Adamawa State? Is there any law in Plateau State? Is there any law in Kaduna, Ondo, Bayelsa, Imo, Ebonyi, Delta or Edo States? In Edo state, cattle have taken over even schools,” the governor stated. He made this known on Friday while also responding to comments by the Department of State Services which blamed the Islamic State for the genocide. “The other day, a report came from DSS that the ISIS Terrorist Group Organisation is taking over and I also heard that the minister was quoted as saying we should accommodate foreigners; foreigners who come here illegally should be accommodated? So if a minister of the Federal Republic of Nigeria is coming out to encourage our citizens to do illegal things, I now begin to see why they have given immunity that is the prerogative of the President and the Vice President, Governors and Deputy Governors to herdsmen who kill and even cattle”. “Cattle in Nigeria have immunity more than human beings. This is unfortunate and I look forward that he will apologise to us and retract what he said because it is an insult on our collective leadership. It is wrong and let the minister know that,” he stated.